Victoria Kimani is currently being roasted on every social media right now after she joined in the ongoing #fvckyouchallenge. She is not being roasted for joining the challenge but for calling out Ycee and Tiwa Savage. She accused Ycee of stealing lines and not giving credits, and you know, called out African bad gyal; Tiwa Savage for blocking her from something we do not clearly understand. She was also slammed for her horrible autotune, bad camera and wacky lines. Damn!! #fvckyouchallenge is on another level bro!!!! Victoria Kimani is such a terrible artiste. All she does is just sing rubbish and back it up with no clothes on. 😆😅 Victoria Kimani and DJ Spinall must be auditioning for a feature on Speed Darlington's next song! 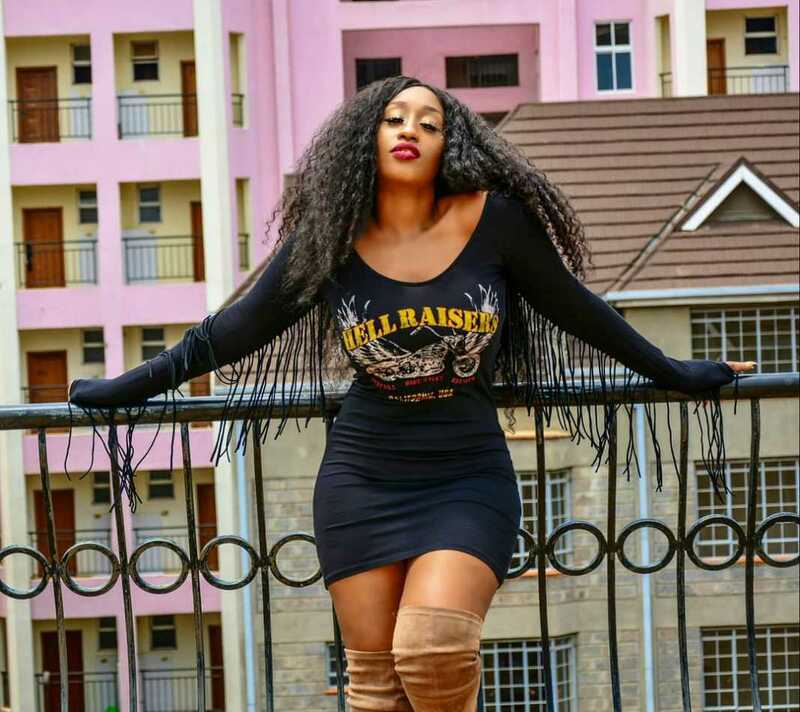 Victoria Kimani reacts more on her #Fvckyouchallenge. I would never understand why females despise themselves so much. The #FuckYouChallenge has been interesting so far with comical diss, until Victoria Kimani used it an avenue to attack her fellow female artist.